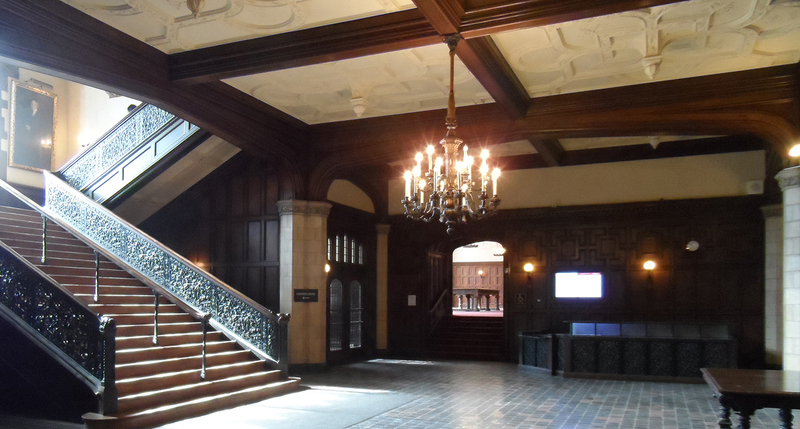 The University of Chicago is home to numerous architectural gems from the early 1900’s. 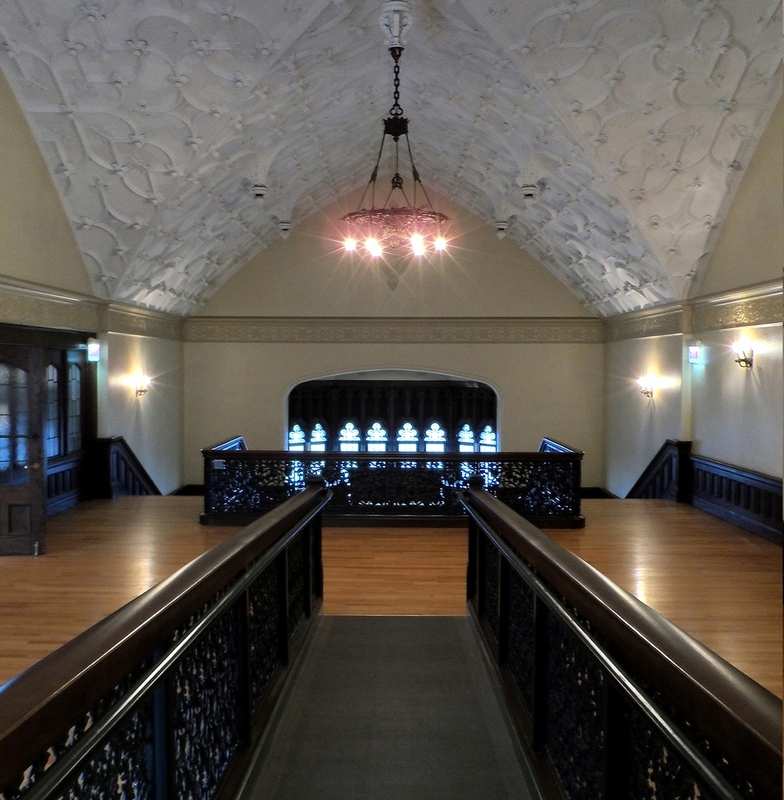 Perhaps topping the list in aesthetic and historic significance is Ida Noyes Hall, a Tudor style masterpiece by Shepley, Rutan and Coolidge completed in 1916. 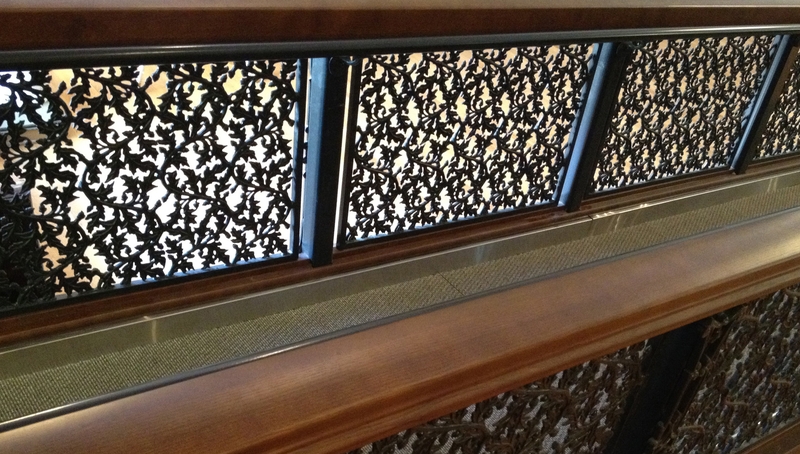 Originally a building for women, the materials used and attention to detail are unmatched on campus. Of all the interior features, the main lobby and grand staircase rising three floors though the center of the building are truly remarkable. Our approach was to try and blend into our incredible context as much as possible. If we could create elements that performed their function quietly, without standing out as 21st century additions, we would be successful. With a tight budget and schedule, it would not be easy to blend into rooms where Old World craftsmen created their art using centuries old materials and methods. We also had to accommodate new technology, such as computers and security systems. The ramp had to be fully accessible, but also handle the extremely heavy traffic of freight for the building. The functions did not lend themselves to a light and sensitive design aesthetic. The solutions had to be simple, yet appear to have the detail and visual texture of the surrounding space. The best materials we could afford would be made most visible to accentuate a feeling of high quality construction. 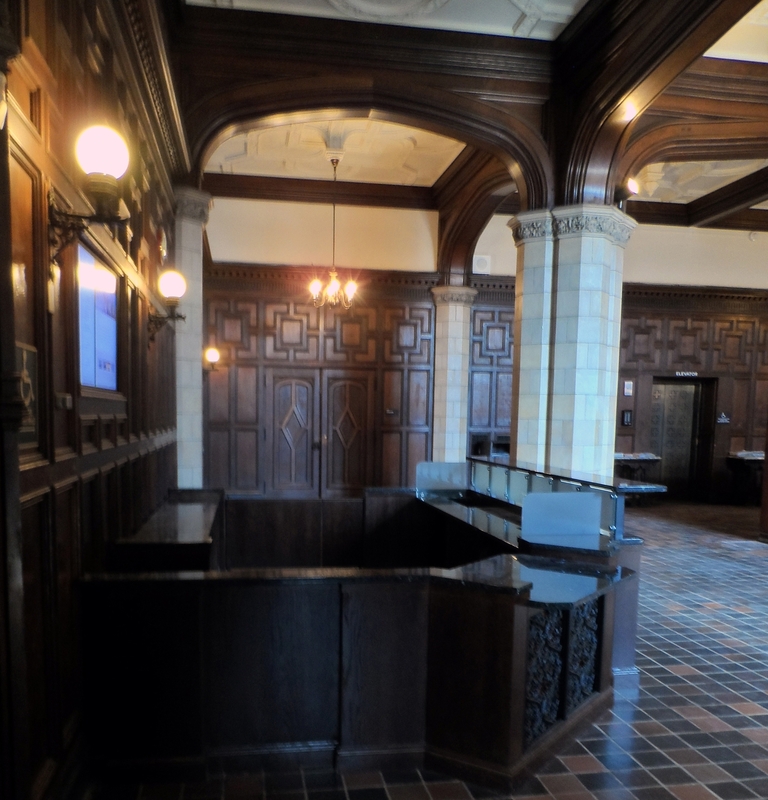 Solid oak woodwork, granite counters, and modular cast iron details highlighted the elements that the public could see and touch. Each element had to be very solid and durable, matching the original construction and to withstand the heavy use. We have been very pleased to have heard many compliments on how well these modern additions have fit in and functioned. The best compliment is that they thought these elements were “part of the original design”.